one of a kind contemporary furniture. 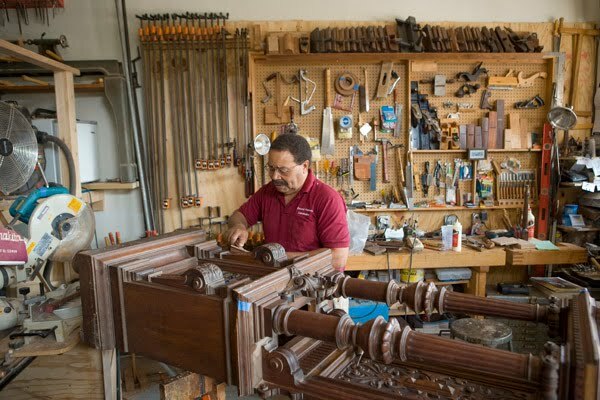 For more than 25 years, Bernard Henderson has been repairing and restoring furniture and antiques, building museum quality reproductions, and building one of a kind contemporary furniture. Trained by two master cabinet makers -- Leonard Hilgner and James Krenov -- he is able to apply old-world furniture making techniques to projects ranging from simple repairs to infusing new life into long neglected fine antiques. The pieces on the web site have been commissioned over the years by private and corporate clients, throughout the United States. One satisfied customer writes: As America's Oldest Auction House in Philadelphia, we have referred Mr. Henderson to many of our clients and business associates as a premier furniture repairman and maker. Mr. Henderson would be pleased to discuss commissions, repairs and restorations with you. E-mail him at bh@bernardhenderson.com or call 215.930.0400 for more information.